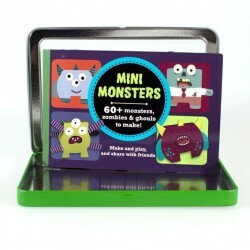 Mini monsters box,Inside the green metal box, there is a small book with more than 60 cards.It´s an Original kids gift, fold and make your mini monsters, zombies and ghoulsLovely gift for a brother or sister!Make, play and share with friends! 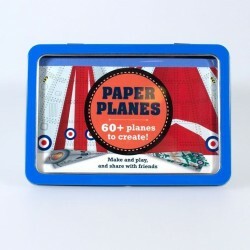 Paper planes gift box, This original present is a blue metal box with a book inside ready for you to create your own paper planes. Is a lovely present for an old brother or sister! More than 60 planes. Design your own fleet of awesome aircraft! 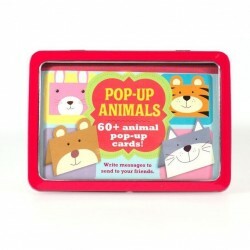 Pop-up animals gift box, 60+ pop animals pop up cards. This box is an Original kids gift, they just have to fold and make their pop up animals. Lovely gift for a brother or sister! 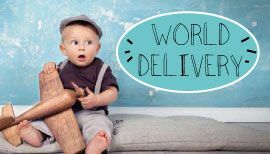 Write messages and send to your friends!